Mar 27, 2019 News!Vol.9, No.1-Vol. 10, No. 6 have been indexed by Crossref. 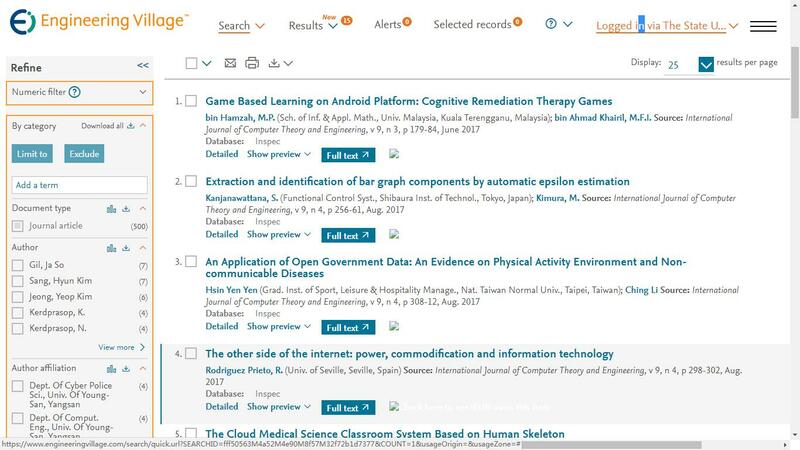 Abstracting/Indexing: Index Copernicus, Electronic Journals Library, Google Scholar, Ulrich's Periodicals Directory, Crossref, ProQuest, WorldCat, EBSCO, and EI (INSPEC, IET), Cabell's Directories. I'm happy to take on the position of editor in chief of IJCTE. We encourage authors to submit papers concerning any branch of computer theory and engineering. Abstract—Abstract—We can observe many examples of Internet of Things (IoT) around us and the number of these instances is increasing in line with technological advances. The commercial and business sectors are the greatest consumers and users of IoT solutions. This study aims to examine IoT connection in a wider area of people’s life and career, namely, IoT connection to freelancers. There are millions of freelancers throughout the world working in different fields including Information Technology (IT), Art, Music, and other great industries; and the number of these freelancers is on the increase. A gadget connected to IoT can introduce fundamental changes in the activity trends of freelancers throughout the world. Such a gadget is proposed in this study. This gadget has been patented and can provide a suitable solution for managing daily activities of a freelancing person. Index Terms—Index Terms—Component, ITO, freelancers, gadgets, 2lemetry. 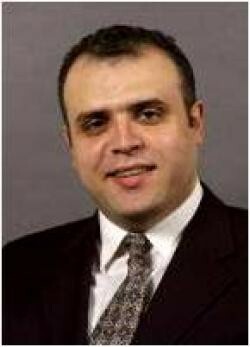 Farzad Paridar is with the Network Engineering, Islamic Azad University Electronic Branch, Tehran, Iran (e-mail: Farzad.paridar@me.com). Mohammad Reza Majma is with the Department of Computer Engineering, Pardis Branch, Islamic Azad University, Tehran, Iran (e-mail: m_majma@pardisiau.ac.ir). Cite:Farzad Paridar and Mohammad Reza Majma, "How IoT Helps Freelancers with a Gadgets," International Journal of Computer Theory and Engineering vol. 9, no.5, pp. 394-397, 2017. Copyright © 2008-2019. International Journal of Computer Theory and Engineering. All rights reserved.